Visit Baxter Ford to browse our new Ford inventory, where you can find the latest Ford Mustang for quite a bit of muscle on the road, the Ford Fusion for a capable, daily driver, and the Ford F-150 to get the job done. When you’re looking to save a bit of money, Baxter Ford is looking out for you, because we have countless certified pre-owned Fords and used cars from different automakers in stock. Check out our various offers and incentives to get an even better deal, too! Purchasing a car is only one function of our dealership. We can set you up with a competitive loan on your car thanks to our expert finance team. You can even apply for financing online to expedite the process when you’re at the dealership! If you’re looking for service, the factory-trained technicians at our service center can handle any maintenance or repair request you bring our way, while our auto body shop will take care of your vehicle after a collision. No matter what, you can rest assured that your Ford is in good hands. 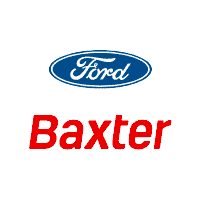 Experience the Baxter Ford difference today by visiting us in Omaha, NE. Get in touch if you have any questions beforehand!